The creature of the day is the Kitsune. It is the Japanese word for fox. The Kitsune is believed to be able to take the form of a human. Part of the lore portrays as highly intelligent, having a long life, and magical powers. Three types of Kitsune are zenko, yako, and ninko. The zenko is known to be benevolent and tied to the god Inari. The yako are known to be mischievous or malicious. The ninko is a fox spirit. yay! someone did kitsune! woo! i didn’t know that there were three different types. research time!!! 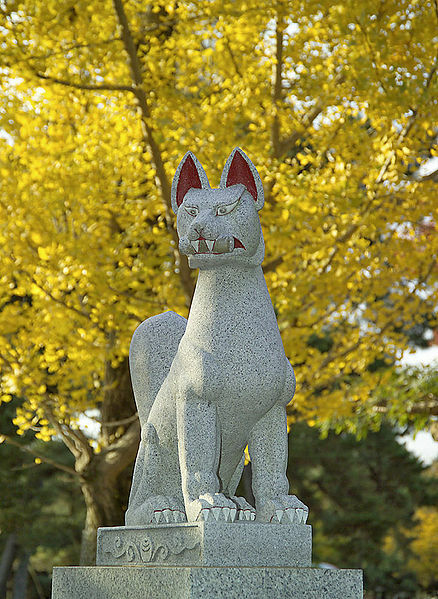 Saw a lot of those in designs and statues when I lived in Japan. I love Kitsune and used one in some of my writing as well. I love going Japanese folklore for all sorts of new and interesting creatures. Japanese folklore is very interesting. Nice post. 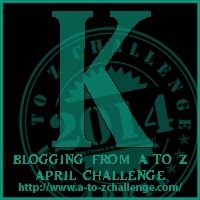 My first year too at A to Z Blogging. All the very best to you.